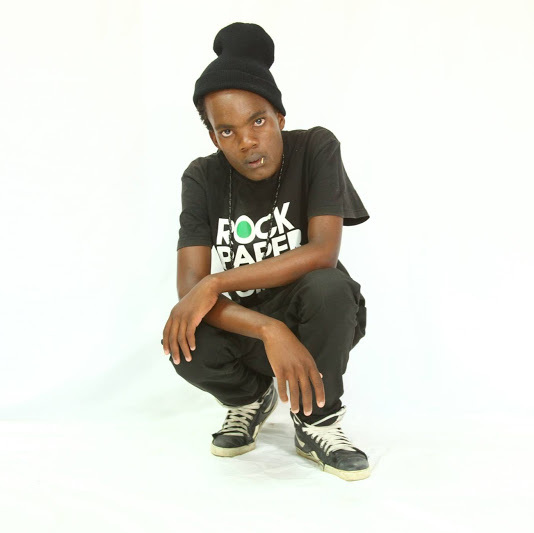 Razoh, real name Ndumiso Mkhize, is an artist/rapper/mc from Umlazi H section in Durban. Razoh is one of the artists working with/under Mbzet Da Beatmaker, executive producer, at 4kas records as a recording artist. Ndumiso is also a student at UKZN Howard College with an aim of completing a degree in Bachelor of Social Science. The Mc started following HIP HOP while he was in primary school. He was then later introduced to 22PAGEZ (rapper) who showed him around a couple of hip hop shows around Umlazi and was hooked till today. RAZOH started writing and rapping his own material in 2006 as a hobby. He met up with BACKLASH in 2009 in high school and together they formed a rap duo known as GOTCHA SOUL. They released a mixtape together titled THE DOPERHOLICS in 2012 which created a lot of buzz in the street of Durban. The DOPERHOLICS MIXTAPE awarded him with an opportunity to work with people like Da nombika, Mastercann, Lacostarion,3rd brick, Ayanda makukule and many more. Razoh was nominated in the BEST LYRICIST category for the ORIGINAL MATERIAL AWARDS in 2013. He gained his recognition by performing in shows around Durban and surroundings. Some of his tracks have been getting airplay on local radio stations like INANDA FM,VIBE FM,IGAGASI FM and a couple of interviews on UKHOZI FM. Razoh is also a member of a crew called OBC from Umlazi. When asked, Razoh states that he drew his inspiration from DEZZA,PRO,PROVERB,ZAKWE,OPTICAL ILLUSION.IMMORTAL TECHNIQUE and many local rappers. This rapper is also known to be one of the few MCz who manage to give outstanding peformances at the MOMENT OF TRUTH show by AYANDA MAKUKULE which happens annually. He has given the local hip hop community a lot of nice songs including a song which saw him gaining exposure even outside Durban and got everyone in KZN talking about him. This was when he released a track titled CORRECT which received mad love from both hip hop heads and fans. Apart from that Razoh has released songs like CELEBRITY CRUSH (MINENHLE DLAMINI),PHAKAMISA IZANDLA and his smash hit single known as AmaBackdoors which stayed number one on Ukhozi fm’s local hip hop top 5 for four consecutive weeks. Besides music, the rapper is also working with LAPREZ WEAR, a local clothing label, as a brand ambassador. “I am just a normal but unique rapper in my own way who just likes making people dance with club banging tracks but also send out a message to the masses”, said Razoh. If you want to contact RAZOH you can get him on facebook as Razoh Music(like the page) or follow him on twitter @Razoh_OBC.